Whether you are getting ready for Halloween or are planning on attending a themed party, this article will teach you how to get your gangster on! Dress formally. Gangsters in the 20s and 30s dressed up rather elegantly. A typical outfit included an all-black, grey, or pinstriped suit with a tie. Keep the color scheme simple; stick to black, white, grey or brown. 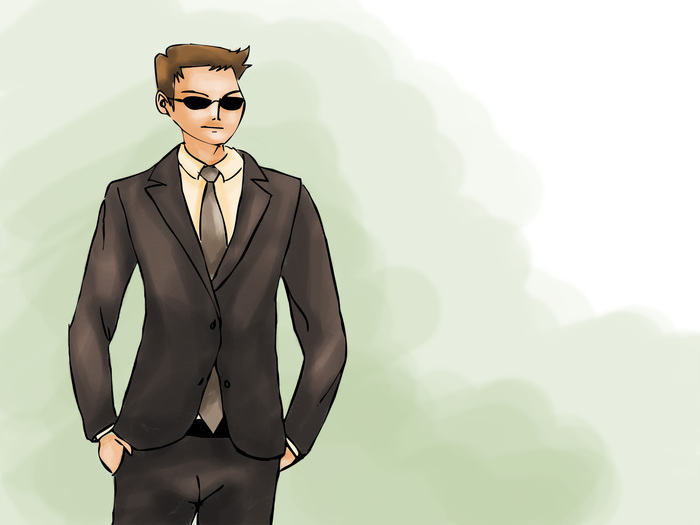 If you don't have a suit jacket, then wear a vest and roll up the sleeves of your collared shirt. Either wear a white collared shirt with a black tie or a black collared shirt with a white tie. Wear a pair of black or brown dress shoes. Wear a hat. 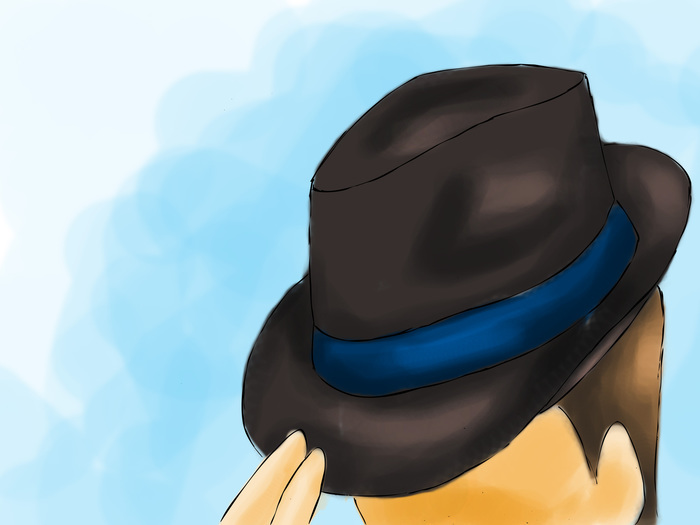 Find a black, white, gray, or pinstriped fedora. A popular look among traditional mobsters was to wear a black hat with white trim, or white hat with gray trim. Be sure that the hat matches your suit. Again, stick with neutral colors like black, white, grey, and brown. Carry a fake gun. Toy guns can be purchased from Halloween stores or toy stores. 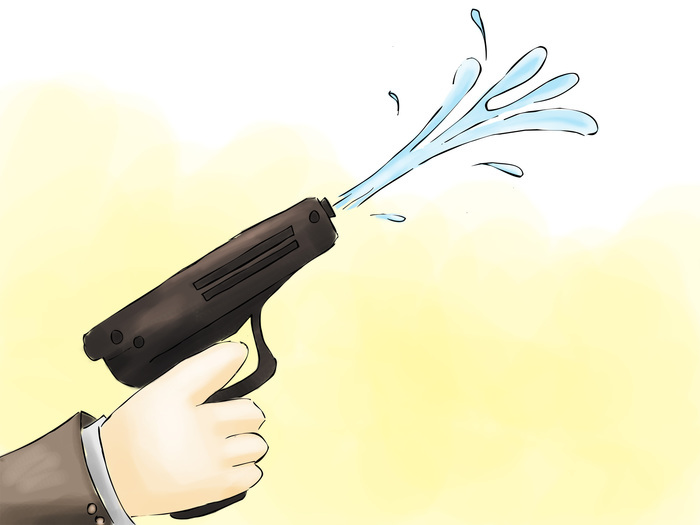 Consider buying a squirt gun and spray-painting it black. 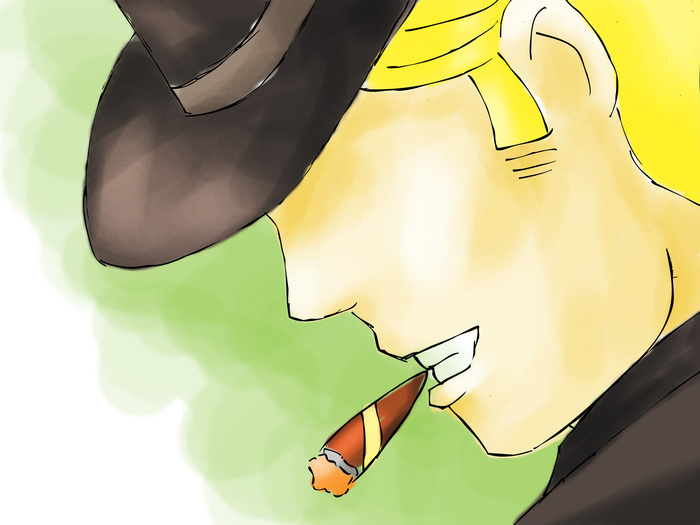 Carry a cigar. In old films, criminals, gangsters, and other "bad guys" were often portrayed smoking cigars. While you certainly don't have to smoke it, carrying a cigar around will add an authentic element to your costume. Wear baggy clothes. 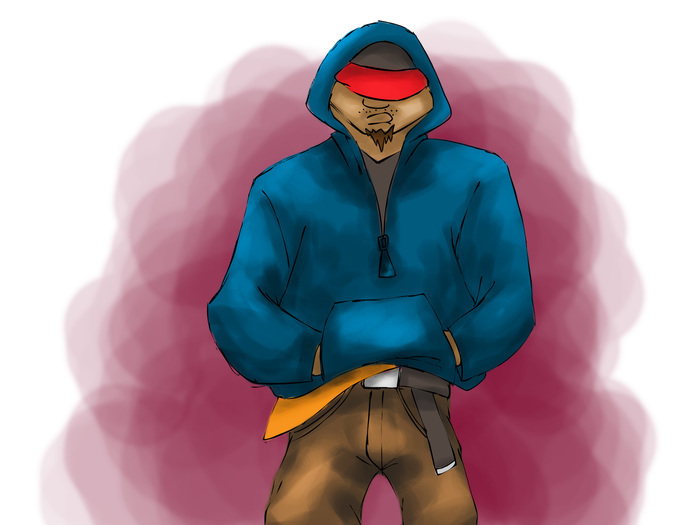 Unlike their old-fashioned counterparts, modern-day gangsters wear baggy, casual clothes that come in various colors. Find a pair of baggy jeans in either blue or black. Buy an oversized t-shirt or a plain white "wife-beater" shirt. Wear an oversized hoodie or puffy jacket. Get inked up. Gangsters are notorious for their tattoos. 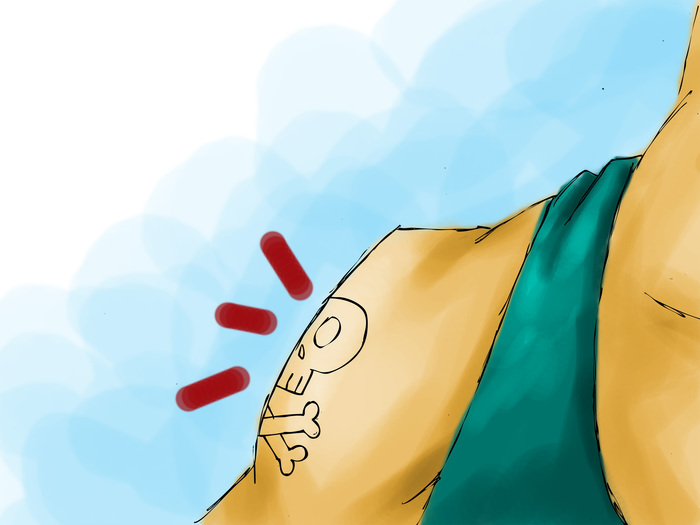 You can draw on fake tattoos using a pen, or apply temporary stick-on tattoos. Many gang members get tattoos of the faces of loved ones who have passed away on their upper arms. Draw tattoos on your face, neck, and/or chest. Get some bling. 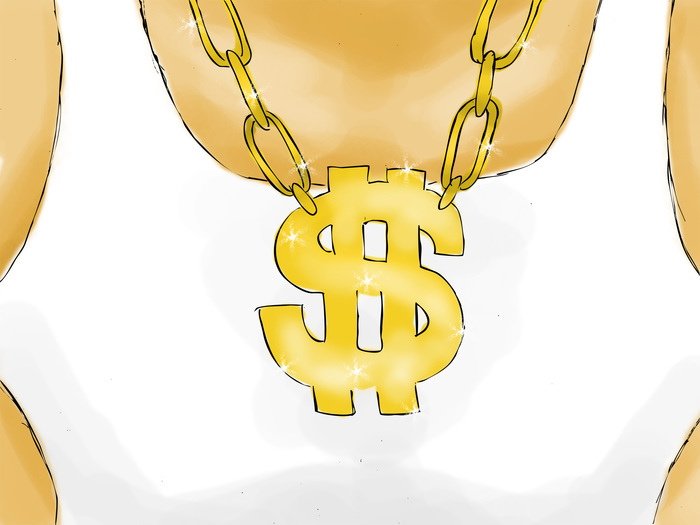 Find long silver or gold chains with dollar signs, crosses, or other symbols on them. Try wearing multiple chains of different lengths and colors. Wear a bandana or beanie. Either tie a bandana around your head or wrap it around your neck and tie it in the back. 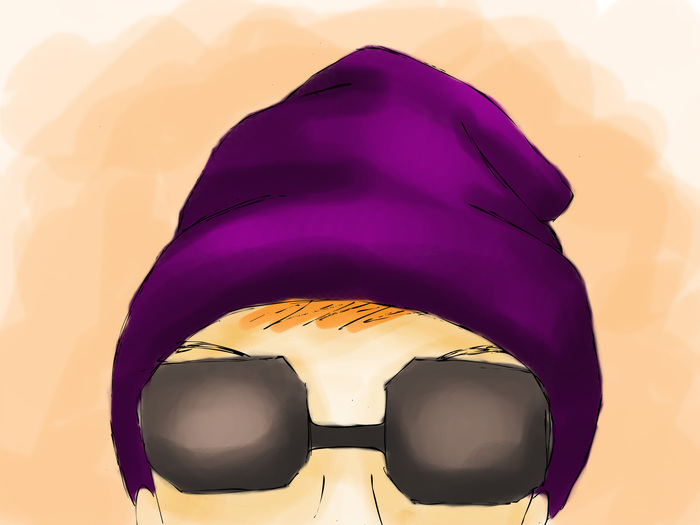 Beanies can be worn in any color, but should not have any designs or logos on them. Remember that some gangs have identifying colors or bandanas. To stay out of trouble, avoid dressing up like a member of a particular gang, especially in neighborhoods or cities where you know these gangs exist.